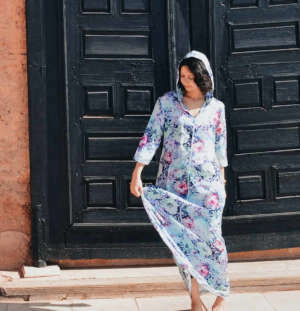 If you had the chance to travel to Morocco, you probably went to the Medina and saw those gorgeous cones of the numerous Moroccan spices, participating in the colorful decor and giving the place that exotic smell that many visitors remember for years. Moroccan spices are Moroccan cuisine essentials. 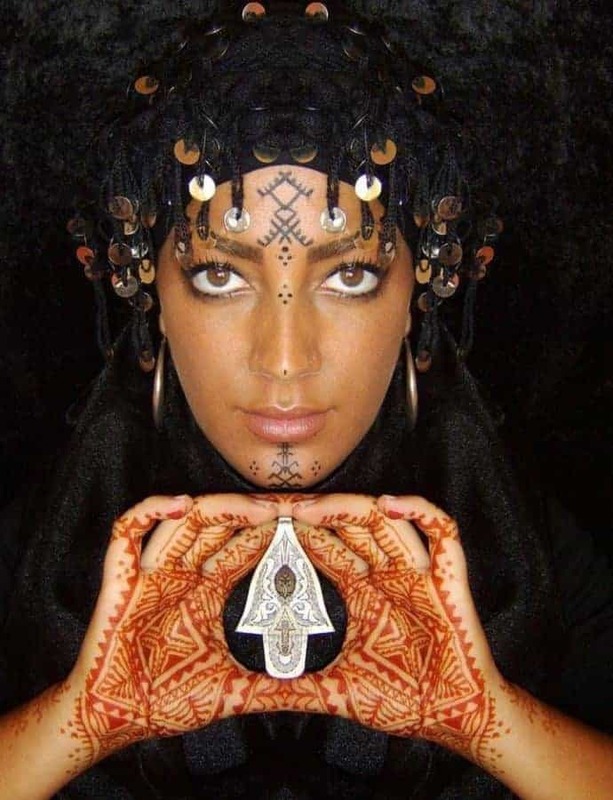 Growing up in Morocco and having learned cooking from my mother, I now use a lot of spices in my cooking. Spices can totally change the taste of a recipe, and if combined thoughtfully, can transform basic boiled carrots to a delicious Moroccan carrot salad full of flavors. Unlike what you might read elsewhere, there is no magical mix that can be used in all Moroccan dishes. However, there is a spice mix that I learned from my mother and that can be used in Moroccan chicken tagines. This mix is super easy to make and can be used in any chicken-based recipe to add that cherished Moroccan touch. I will share it with you at the end of this post. Oh, and if you ever have the chance to travel to Morocco, don’t forget to buy some of the Moroccan spices you might need back home. Whenever I visit the country, I make sure I bring back Moroccan spices. They cost incredibly cheaper in Morocco and they taste stronger than most of the spices you can find in the grocery stores. So in case you visit the country and to help you shop those tasteful spices, I will mention in the list below the Moroccan name of each spice. Sweet pepper is a type of spice made from small chili pepper, dried and used in Moroccan cuisine either ground finely or coarsely. In Moroccan cuisine, ginger can be used fresh. But it’s most commonly used dried and grated, in powder form. Ginger is believed to be very efficient in empowering the immune system and is also believed to be an aphrodisiac. Ginger powder is part of most Moroccan dishes and great news, it’s part of the Moroccan spice mix I will share with you at the end of this post ! 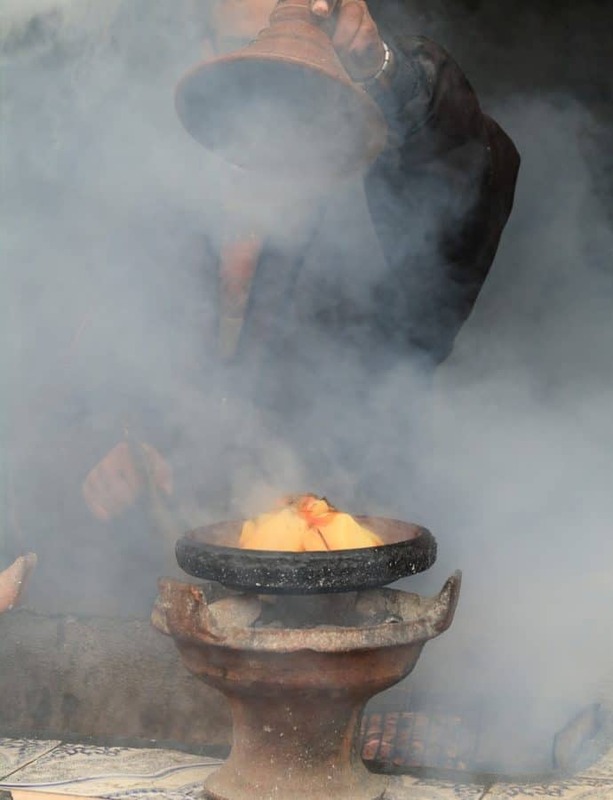 Turmeric is also an essential in most Moroccan dishes. 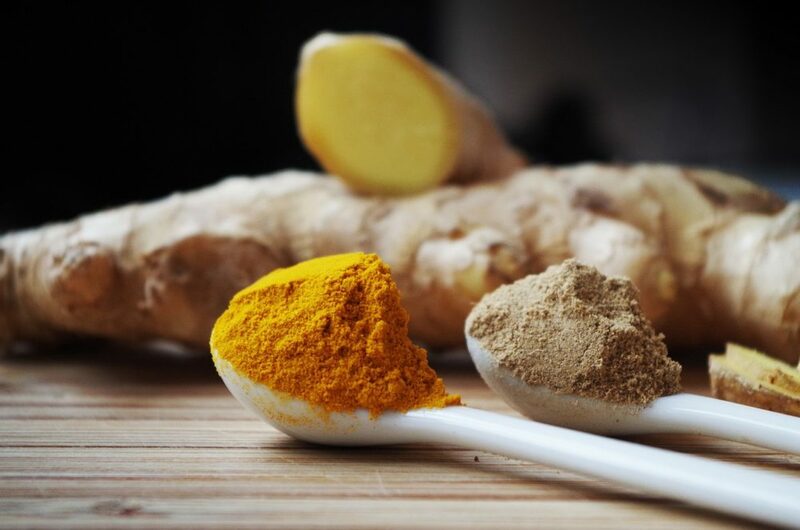 Besides giving the food a gorgeous gold color, it has a very distinguishable and exotic taste and is medically known for its anti-inflammatory properties. 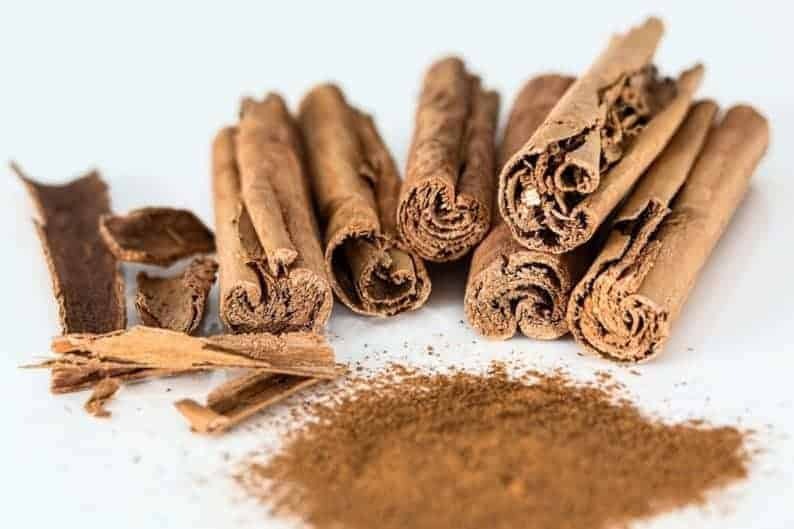 Cinnamon is part of many Moroccan dishes especially the sweet-and-salty recipes. It can be used either in sticks or ground. Moroccan cuisine uses this spice grounded or whole grains. 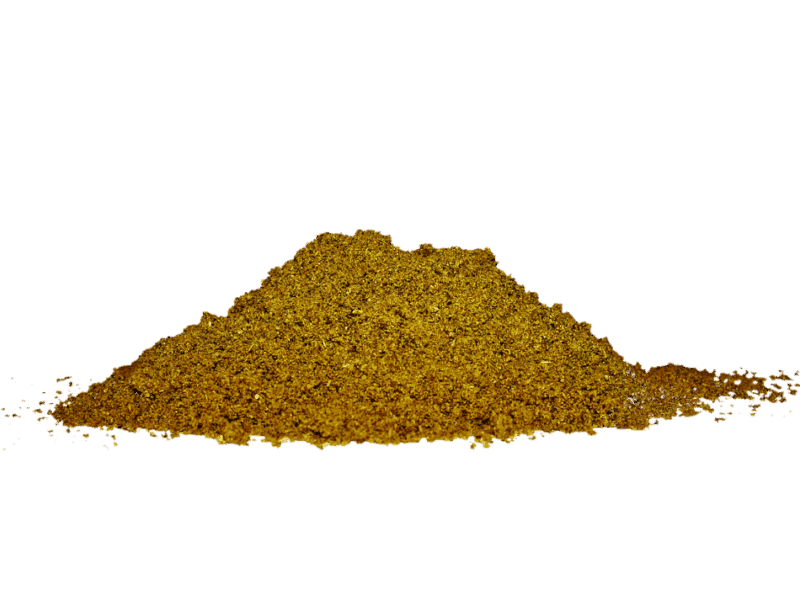 Cumin has a strong flavor and because of that, is not used in all Moroccan recipes. For example, Cumin is not used in the popular Moroccan chicken tagine. That’s the reason why the Moroccan spice mixes you find in grocery stores won’t work with all Moroccan dishes. 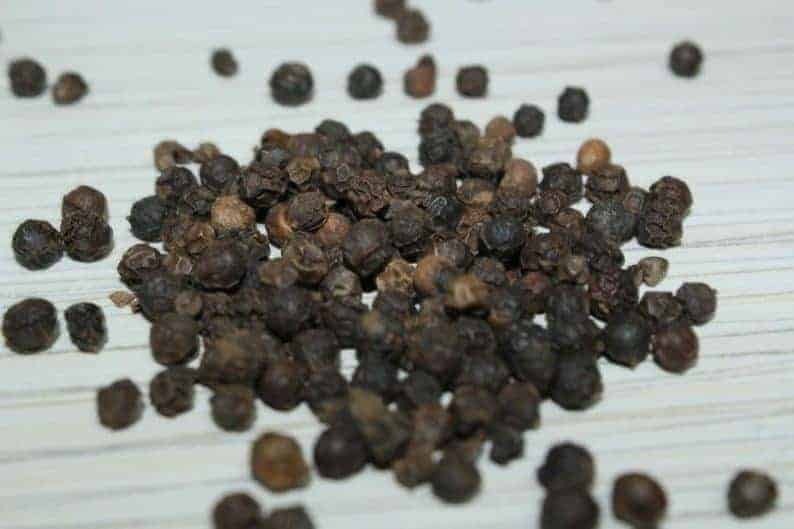 This is a spice that is used in most Moroccan dishes. You can find it in every grocery store and you probably already have it in your kitchen. 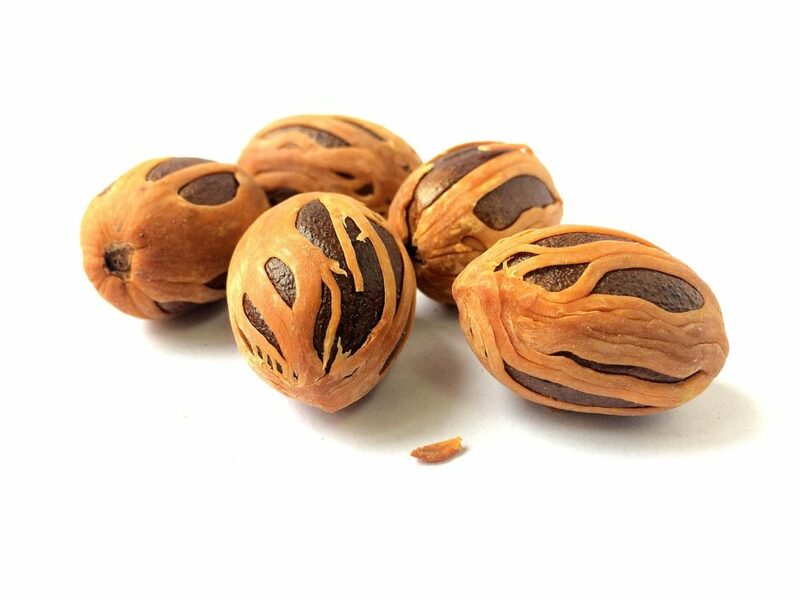 Mace is a unique-flavored spice from the nutmeg tree used in some high-end Moroccan dishes like in the Moroccan pastillas. 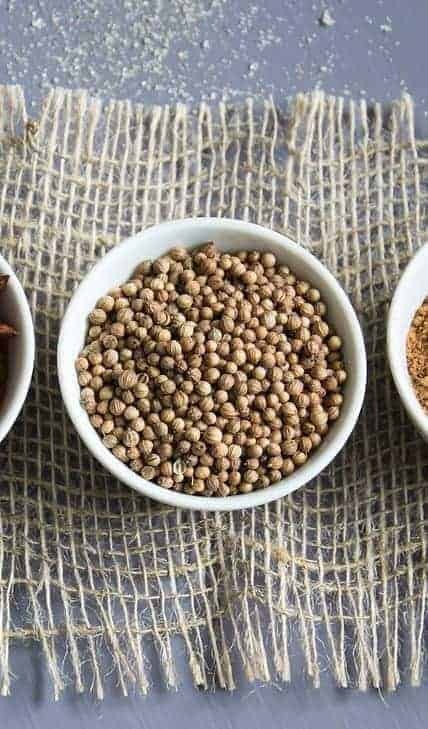 Good quality mace spice can be very expensive, that’s why it’s used in powder form and is often mixed with other spices. Nutmeg is a spice mostly used for special celebrations dishes. 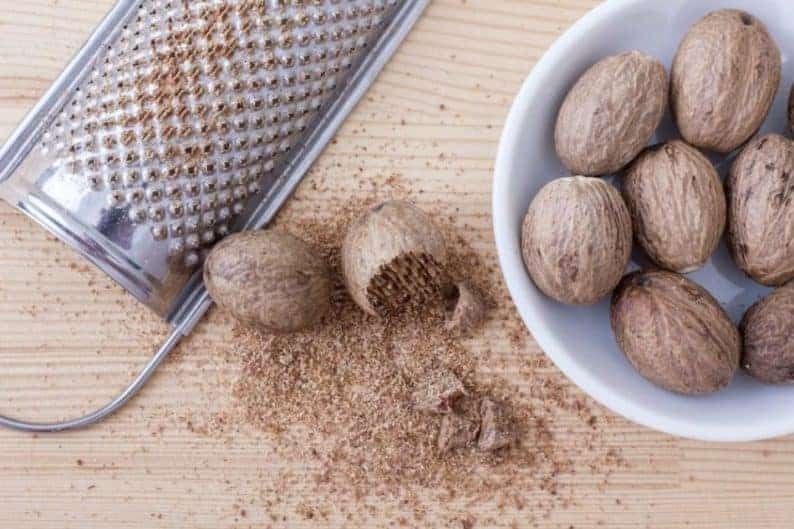 It can be found in powder form but most Moroccans prefer to buy nutmeg dried nuts and grate a small portion each time they need to add the spice to their dishes. 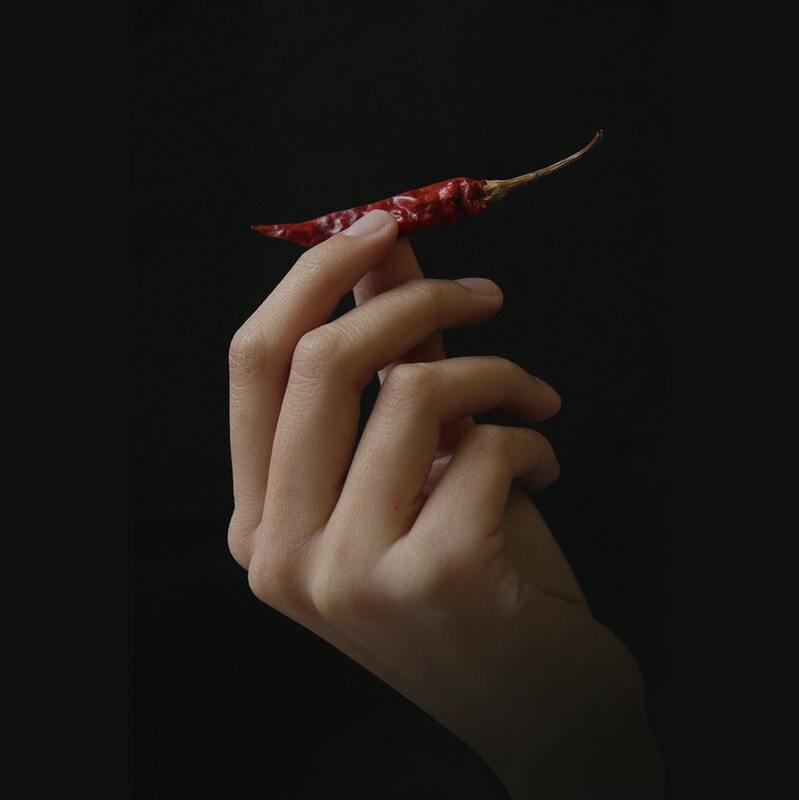 This way, the flavor is strong and the intensity is preserved. This spice is used ground in many Moroccan dishes. It combines deliciously with cinnamon and nutmeg. This spice is mostly used ground. 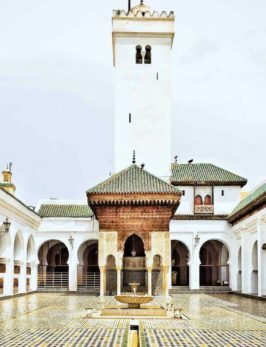 With an interesting taste, it participates in giving Moroccan dishes that distinguished taste. 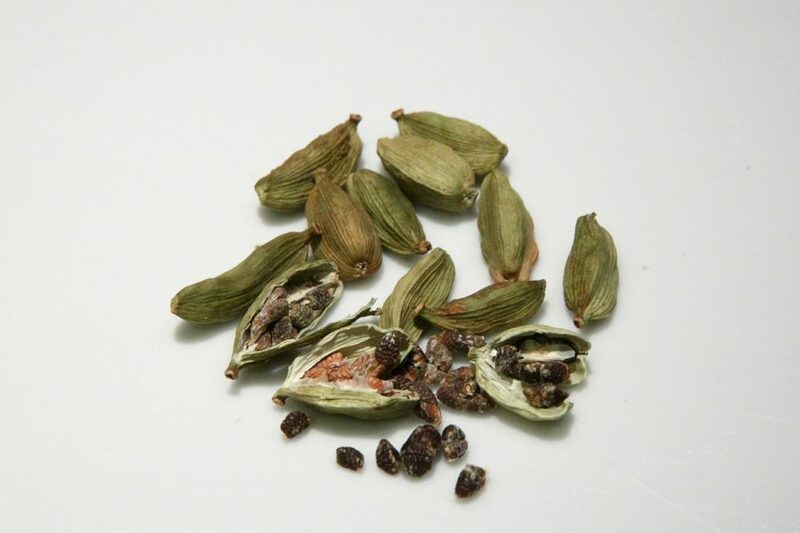 This is another Moroccan spice associated with fancy Moroccan dishes. 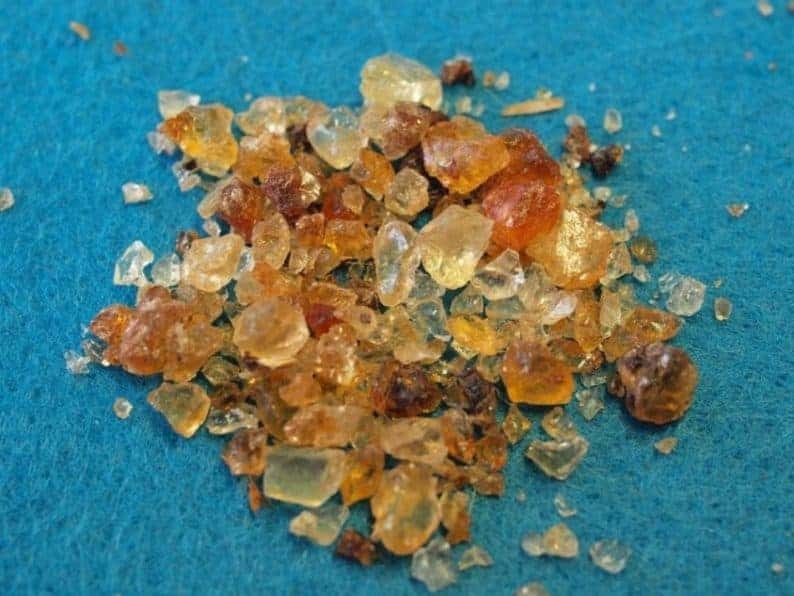 Gum Arabic crystals are melted in water and added in some recipes to add flavor and texture. This is one of the fanciest spices used in Moroccan cuisine. 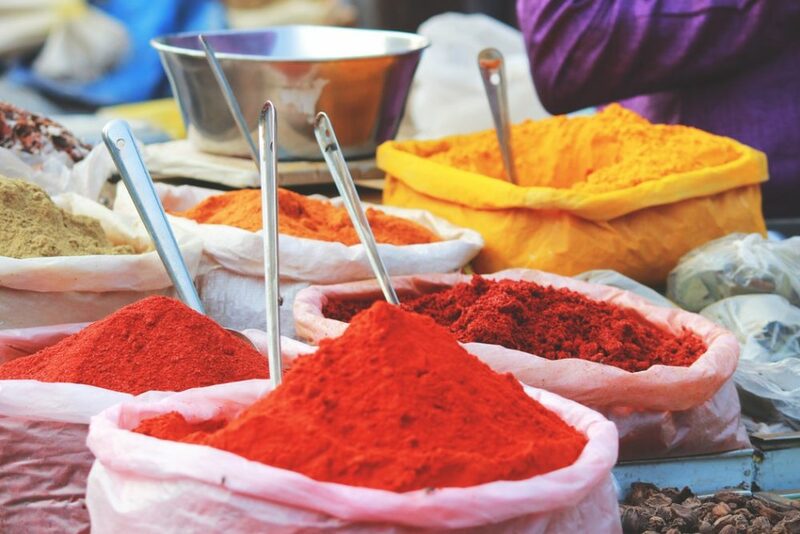 In Morocco, Saffron is sold in grams and is used to give a light red color to the recipes. But most importantly, Saffron is used to give dishes a very specific taste loved by Moroccans.